The House Judiciary Committee voted Thursday to authorize a subpoena of acting Attorney General Matt Whitaker, who is expected to appear voluntarily in front of the committee Friday but who may decline to answer certain questions regarding the independence of the Justice Department and special counsel Robert Mueller. The move sets up the potential for a high-stakes showdown at Friday’s hearing and perhaps the first major confrontation in the new era of Democratic oversight of the Trump administration. Chairman Jerry Nadler (D-NY) said Thursday that he hoped he would not have to use the subpoena authority. He said he would not issue a subpoena if Whitaker fully answered his questions on Friday. “If he does not, then we will have the tools we need to ensure that we may adequately meet our own responsibilities,” Nadler said. The chairman last month sent a letter to Whitaker indicating the committee’s plans to ask Whitaker various questions regarding his communications with President Trump and the White House about Mueller’s investigation and the other federal probes linked to Trump. He asked Whitaker to notify the committee by Wednesday morning if the White House intends to invoke executive privilege on any of those topics. Whitaker did not respond, according to a follow-up letter Nadler sent Wednesday. 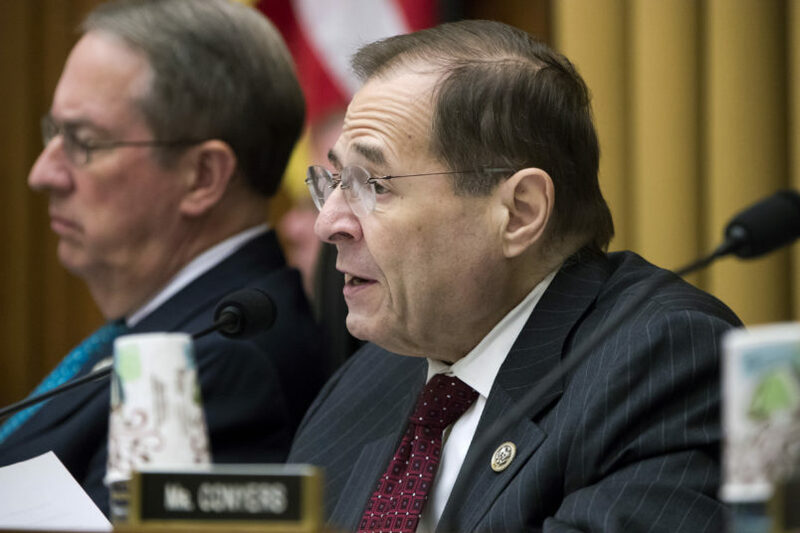 “My staff and I cannot have been more transparent about our goals here,” Nadler said, adding that he also had scheduled a vote on the resolution at the request of the committee’s Republicans. Nadler appears to be laying the groundwork to avoid a situation that was somewhat the norm for the first two years of the Trump administration, when Republicans controlled both chambers of Congress. Several top administration officials declined to answer lawmakers’ questions about their conversations with Trump. However, those officials also did not formally invoke executive privilege, and rather claimed they were avoiding answering to keep open the opportunity for the White House to invoke executive privilege. Often, the congressional Republicans holding the gavel did not move to compel that testimony and Democrats did not have the power to. “For the first two years of the Trump Administration, witnesses have often been allowed a free pass,” Nadler said. Now, Nadler is taking the steps that would allow him to subpoena Whitaker if he doesn’t answer lawmakers’ questions. If Whitaker continued to stonewall, it could lead Congress to hold in contempt, which in turn could prompt a legal fight with the White House. Republicans also offered an amendment to expand the resolution to Rosenstein, citing reports that he privately floated wearing a wire to record Trump. That amendment was defeated by Democrats. Nadler said that Whitaker promised in a phone call last year to appear in front of the committee, but that Justice Department personnel then tried to claim such a promise was never made, that Friday’s hearing was not that necessary and that it should be delayed until after Whitaker’s replacement was confirmed. The Justice Department did not immediately respond to TPM’s inquiry about Nadler’s comments and Thursday’s vote.